Check out Tobi's You Must Know Leather Belt Keep it together in the You Must Know Yellow Leather Belt. This faux leather belt features vegan leather a simple metal buckle and a single metal embellishment at the end. Pair this bright belt with high waisted denim. 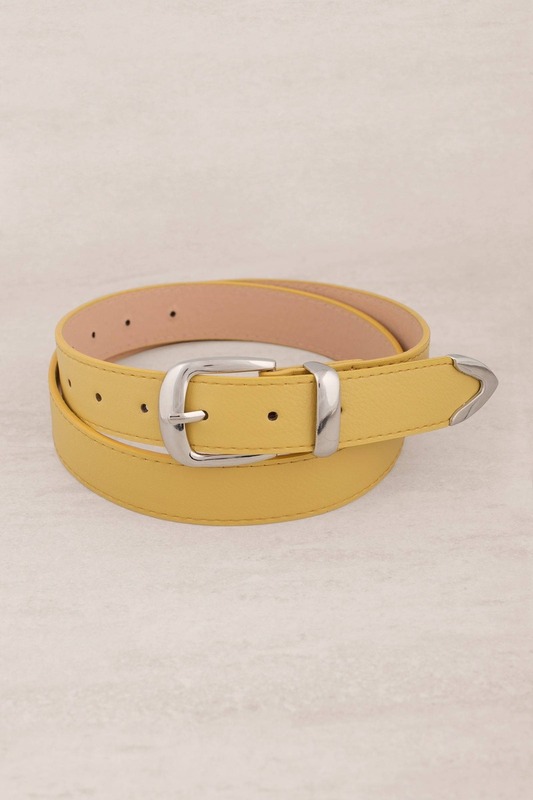 Keep it together in the You Must Know Yellow Leather Belt. This faux leather belt features vegan leather a simple metal buckle and a single metal embellishment at the end. Pair this bright belt with high waisted denim.